Since my motion last year, for the City of Bayswater to head towards a 20% tree canopy by 2025, things have been changing. I admit slowly changing, but some major hurdles have been passed. The main one, attitude and a lack of understanding of trees and their benefits, has unfairly and incorrectly been leveled at the staff. It is the council who have formed a “new understanding”, and in my opinion this has now empowered the staff to continue pursuing the same direction they have always wanted to. Over the last four years of my term as Councillor, I have observed that the Officer’s recommendations were pretty consistent – they opposed the cutting down of trees. Over the last year, this seems to now be the view of the council as well. Better protection of our existing trees. There has been a dramatic decrease in planning approvals for people wanting to cut down verge trees. What was previously almost a fait accompli, and occurred multiple times every month, is now not happening. I understand that the planning department are informing developers from the initial contact that any design should leave the street tree alone. 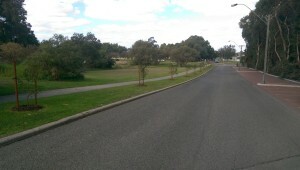 If a design does have a driveway where the street tree is, they are advised to “flip” the design so the driveway is on the other side of the block. Countless trees are now being kept when they would otherwise have been destroyed. Also, in order to placate those annoyed over the Halliday Park tree removals (which were subject to an arborist’s report deeming them unsafe), it was suggested that two trees were planted for every one removed. This seems to have now become standard operating procedure. For a variety of reason trees sometimes need to be destroyed, now when they are, they are generally being replaced on a two for one basis. 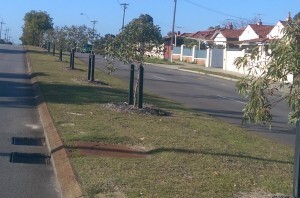 There was recently a draft tree policy released for public consultation and it wasn’t well received. It may have been an error (of mine) to request at a council meeting that it go out for public consultation. This is because it was never meant to be the City’s final version, rather it was designed as an interim solution to address some unintended consequences arising from a motion late last year. On hindsight though, it was still good to get community feedback and your views, as this will undoubtedly guide the final, and much more comprehensive, policy. 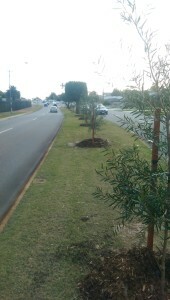 It was also made clear from the feedback that the community expect the City to be at the forefront in tree management. I have faith that as a result of the community consultation the next tree policy version will be viewed in a very positive light. There is a tremendous amount of work still to be done. We need an overarching “Urban Forrest” strategy for how we are going to move towards a 20% tree canopy, and all that this entails. Policies on tree pruning need to be reviewed because as mentioned here, trees are being pruned even when there are no overhead power lines. We need a significant tree register. We need to work out how to get people wanting a street tree outside their house – it’s fine to say make it compulsory, but if the resident isn’t on board they won’t look after it and may even kill it. We need to look at underground power. And we need to involve the community at all steps and get their help and input. Regardless of whether I am re-elected this October, I am hopeful that the new direction council has taken will be continued. 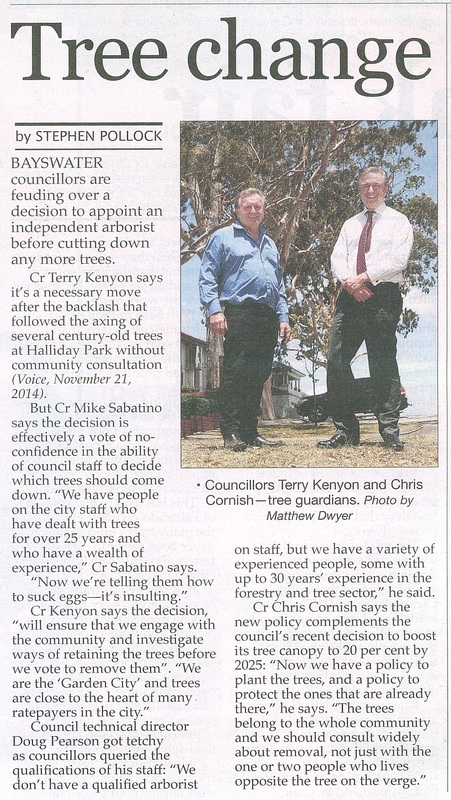 Cr Kenyon himself successfully moved a motion that any tree to be removed must have an arborist’s report and Cr Barry McKenna said to me just the other day that when he drives around he now finds himself seeing places where trees could be. 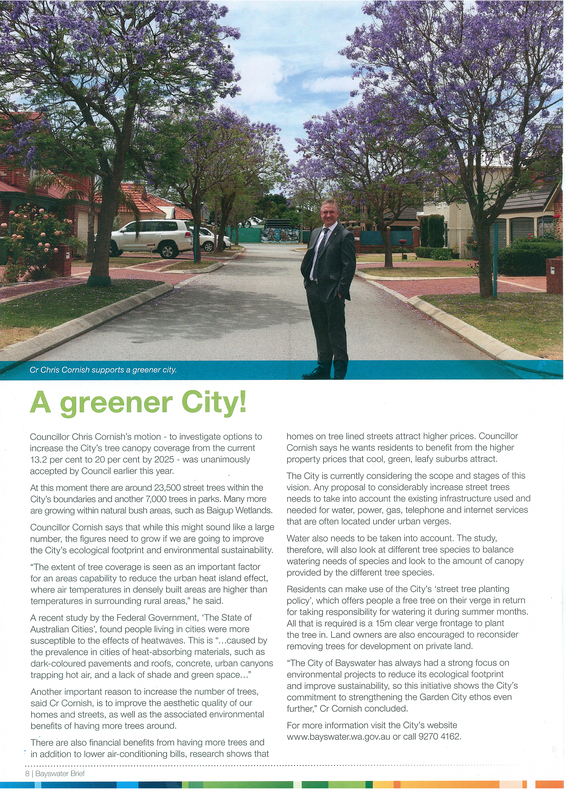 It is really positive to have a growing number of Councillors who want green, cool leafy suburbs and all the benefits this brings. To end with, I’d like to thank all of the countless people who have made contact with me and also with the City. It was all the community contact and support which has made these changes, and the new direction the City is heading in, possible. 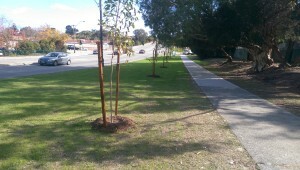 Bayswater Urban Tree Network in particular have been great drivers of this change. 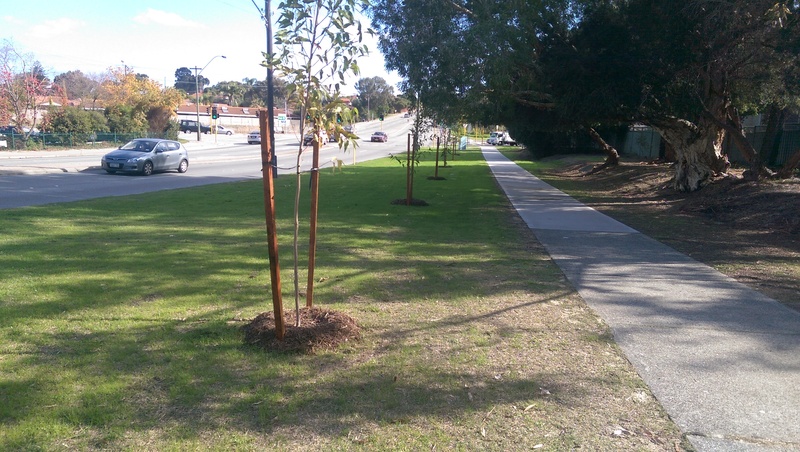 The Maylands Residents and Ratepayers Association, Friends of Claughton Reserve and Friends of Lightning Swamp Bushland are other local groups who have spoken up in an effort to get more trees in the ground and better protection of the existing trees. To achieve something worthwhile takes effort. Well done for persevering with this project. A great idea. Thanks for leaving a comment. I’m really pleased that you have noticed some of the work. I am 100% onto the street tree pruning when there are no overhead power lines and have previously raised it with the CEO and relevant Director. As Chair of the Audit Committee, I have requested information on why this happens, how much it costs and how wide the practice is. 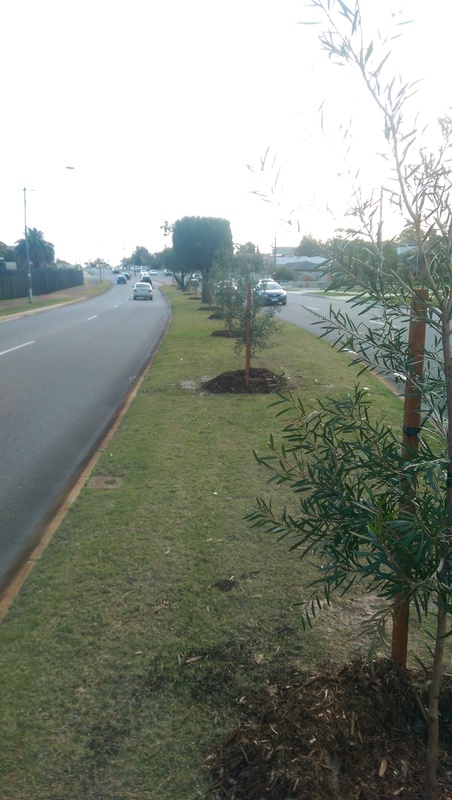 I wholeheartedly agree with your stance on planting more trees in the City of Bayswater, being a resident and a greenie myself, there’s nothing nicer than seeing green streets. However, I’d like to pick your brains if I may on getting street trees that residents actually want outside their house like you suggested, because I as far as I am aware, current policy is to plant certain tree species simply because they are the most common tree on the block. For example, if a resident wants a smaller height Manchurian Pear vs. a Box tree that has the potential to reach 30m in height, but Box trees are common in the rest of the street, can the resident request this? or will it just be knocked back by council? Hi Penny, Thanks for your message. 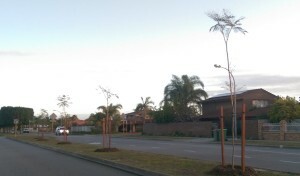 The street tree request form, which can be accessed via a link within this blog article https://chriscornish.info/help-spread-the-word-about-free-street-trees/, does offer a choice. The requests don’t come to council for approval but are assessed by the staff. I’d be very surprised if they didn’t deliver what was requested as I’ve never heard of that occurring. That said, there is a review of the form and in future the choices may be changed or more limited. Great, thanks for the info Chris!